Ezpeleta Monochrome Walking Umbrella. 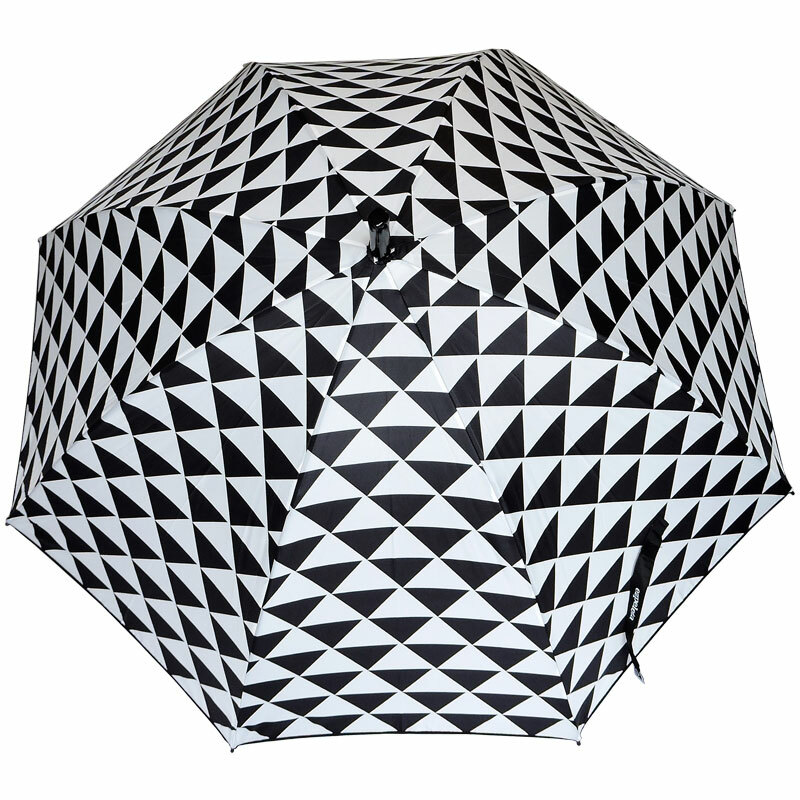 Choice of 4 geometric designs! Ezpeleta Monochrome Walking Umbrella for the umbrella fashion cognoscente among you. 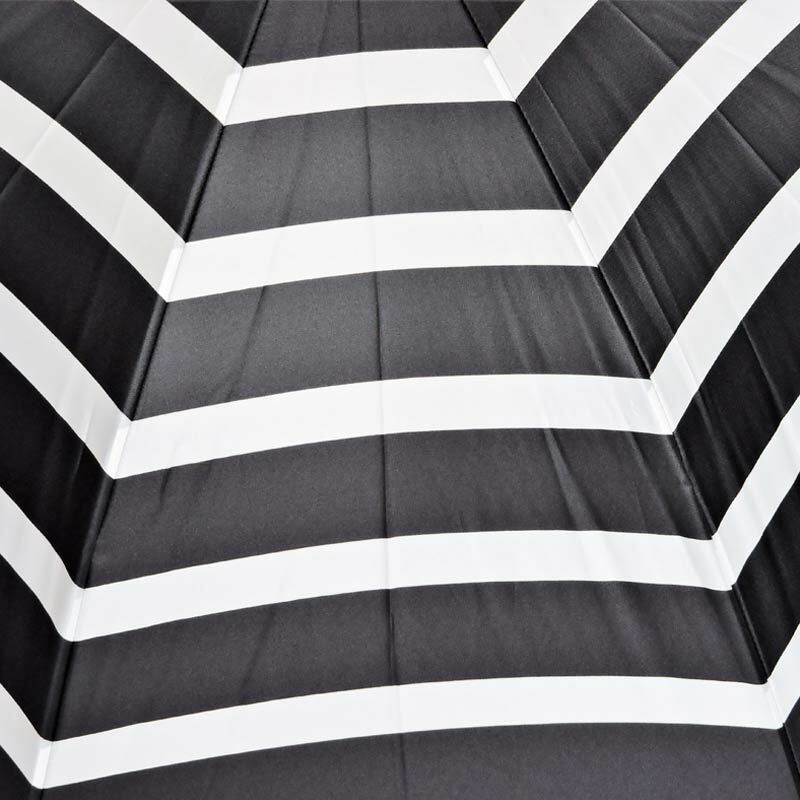 Monochrome umbrellas are definitely “in” this year. 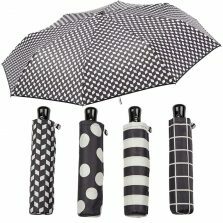 Classic style black and white patterned umbrellas available in 4 striking designs. 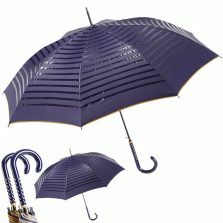 Which one will you choose? 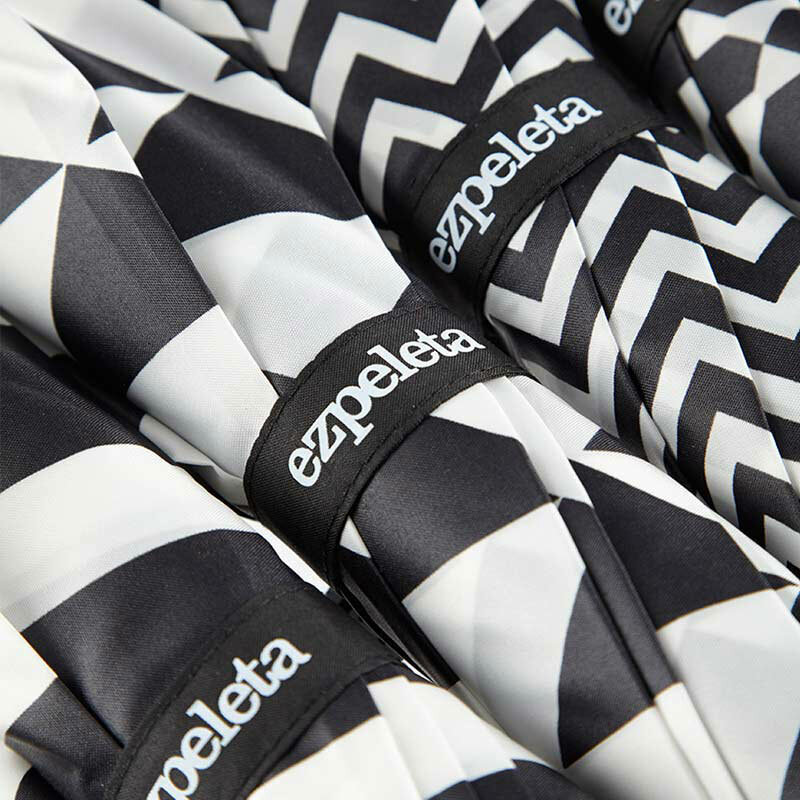 Introducing our Ezpeleta Monochrome Walking Umbrella. Style on a stick! 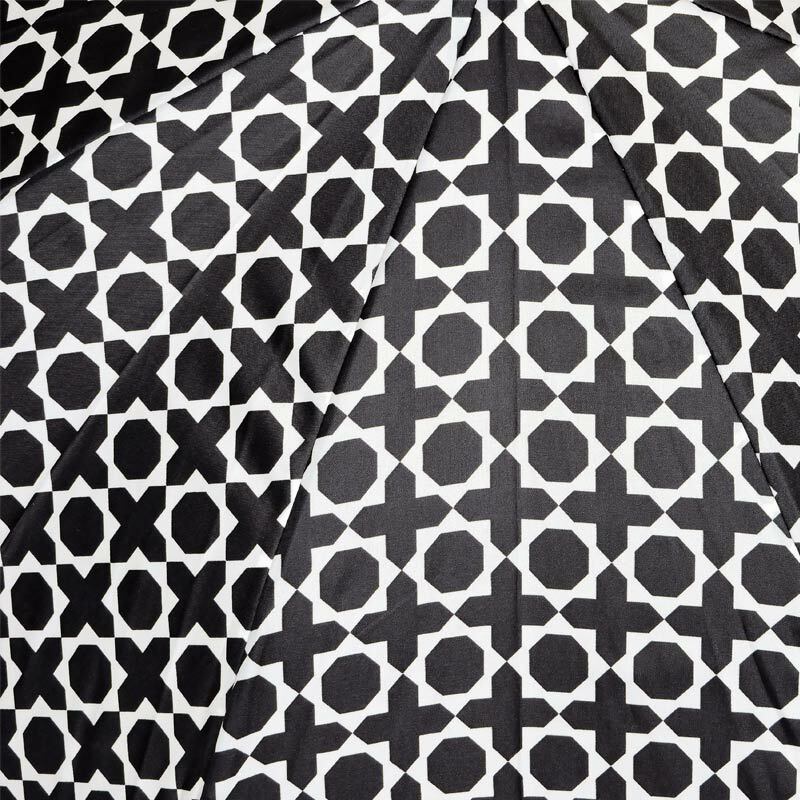 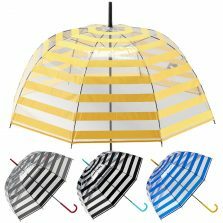 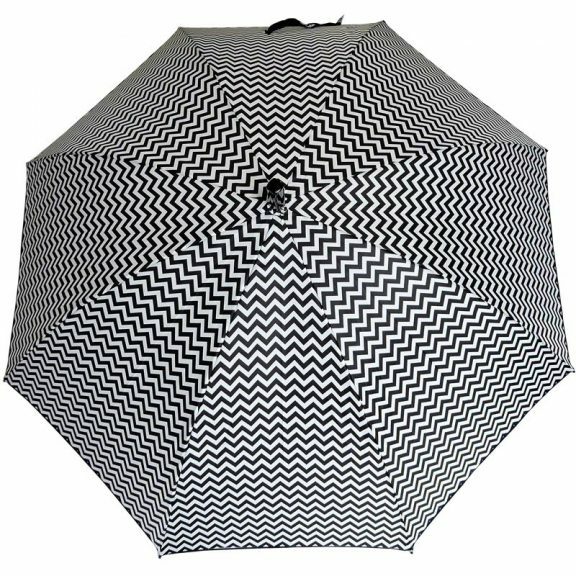 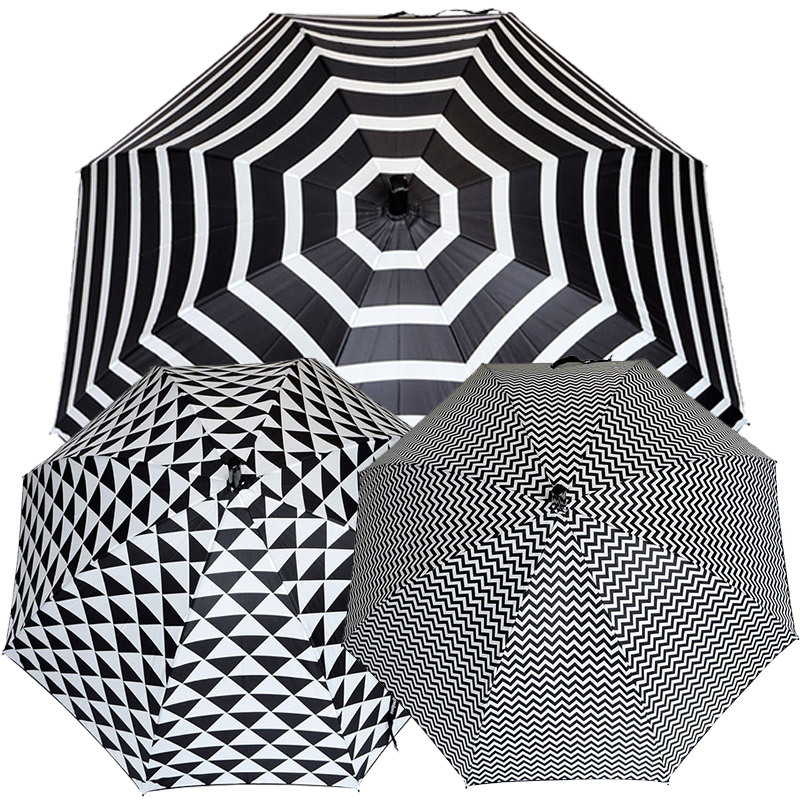 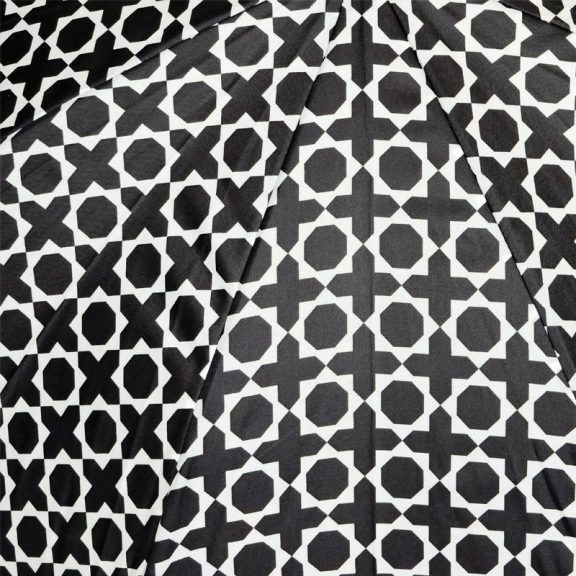 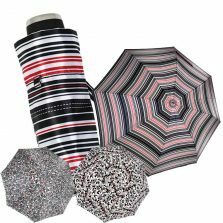 These black and white patterned umbrellas are available in 4 unique geometric designs. 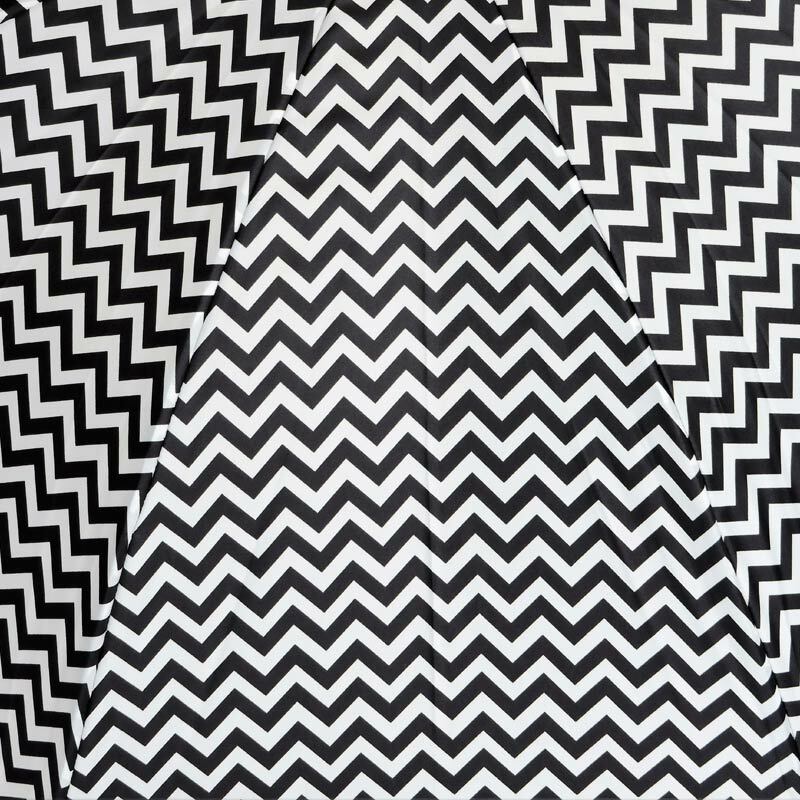 Criss cross, striped, zigzag or triangles. 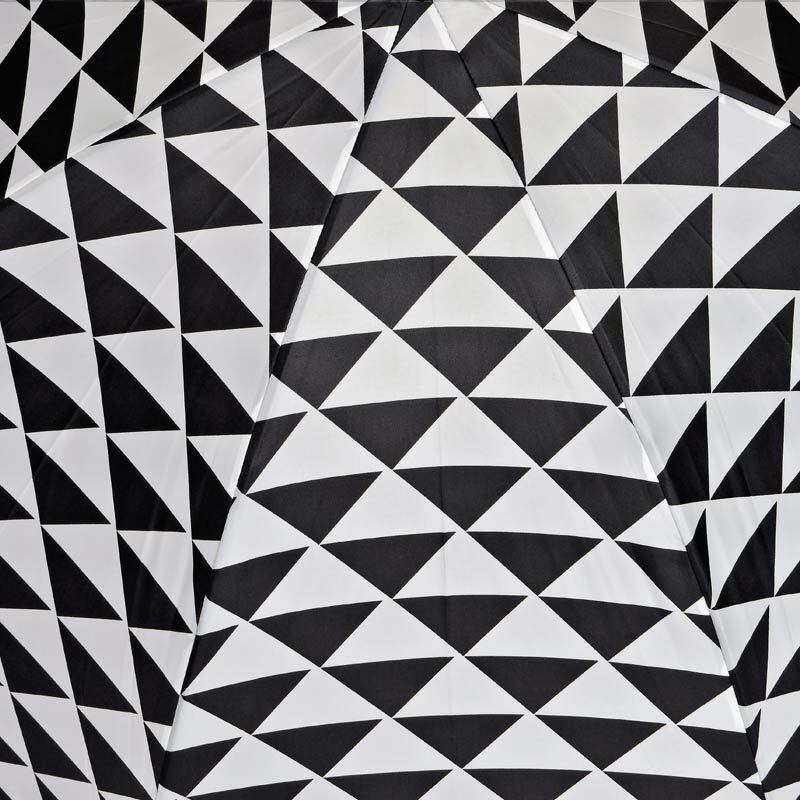 Just choose your favourite from the above “Pattern” drop down selection menu. These modern designer umbrellas “break your eyes”. So, don’t stare at them too long. Great umbrellas for hypnotists. 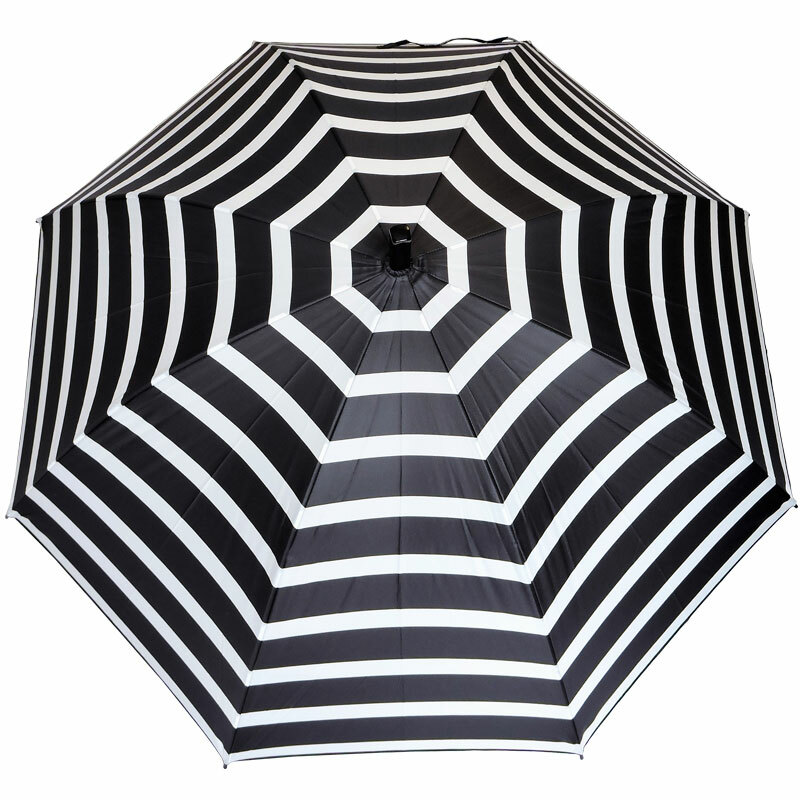 Just give one a twirl and people will do exactly what you say! Each Ezpeleta monochrome walking umbrella also has a super stylish square section black crook handle and matching tip. 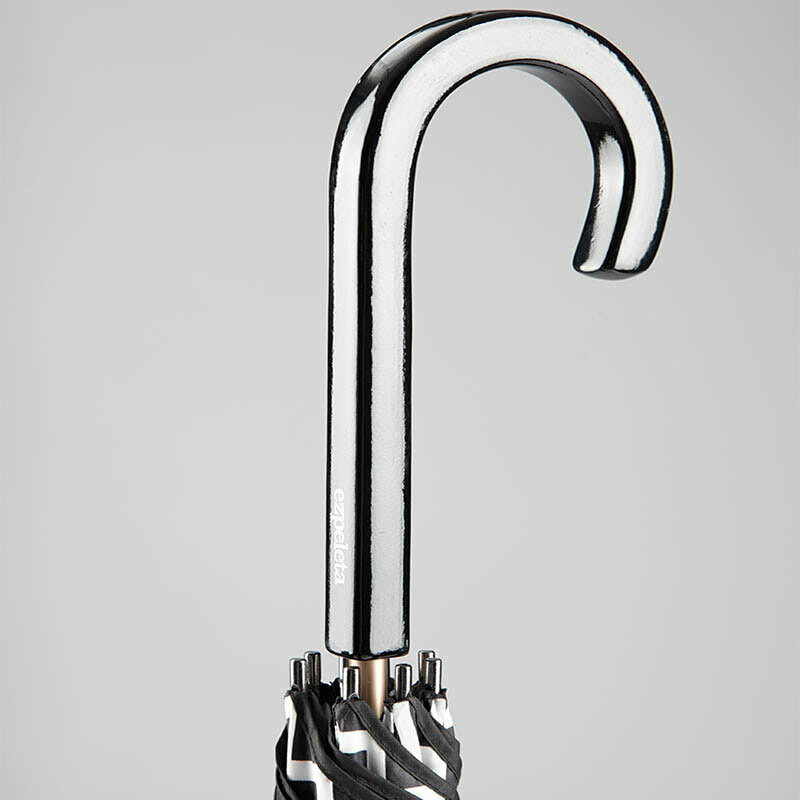 Another classic modern design touch from Ezpeleta. 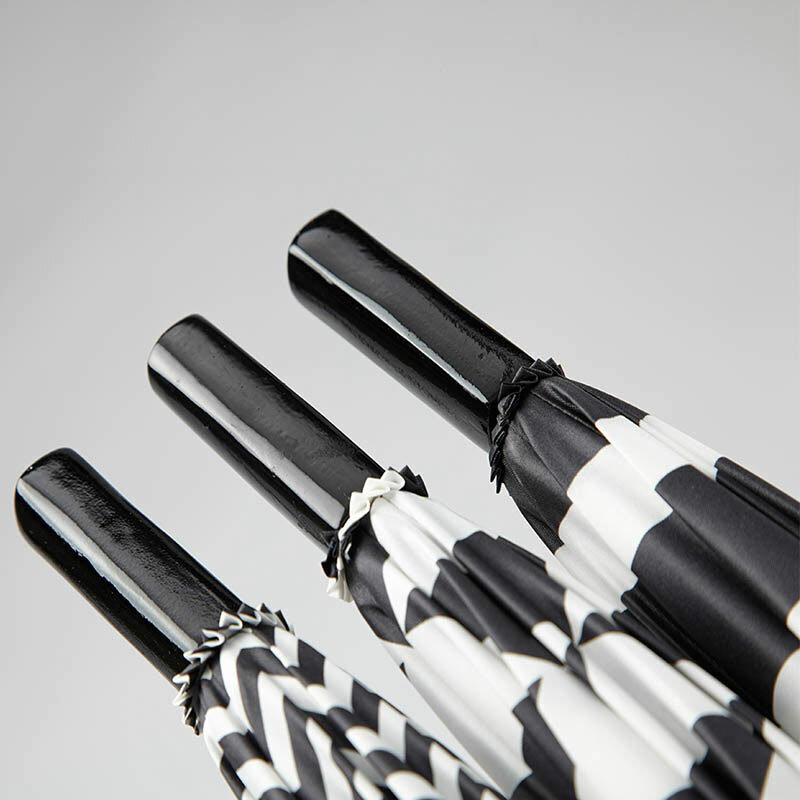 What’s more, with their simple flexible fibreglass frame they’re also reasonably windproof too. 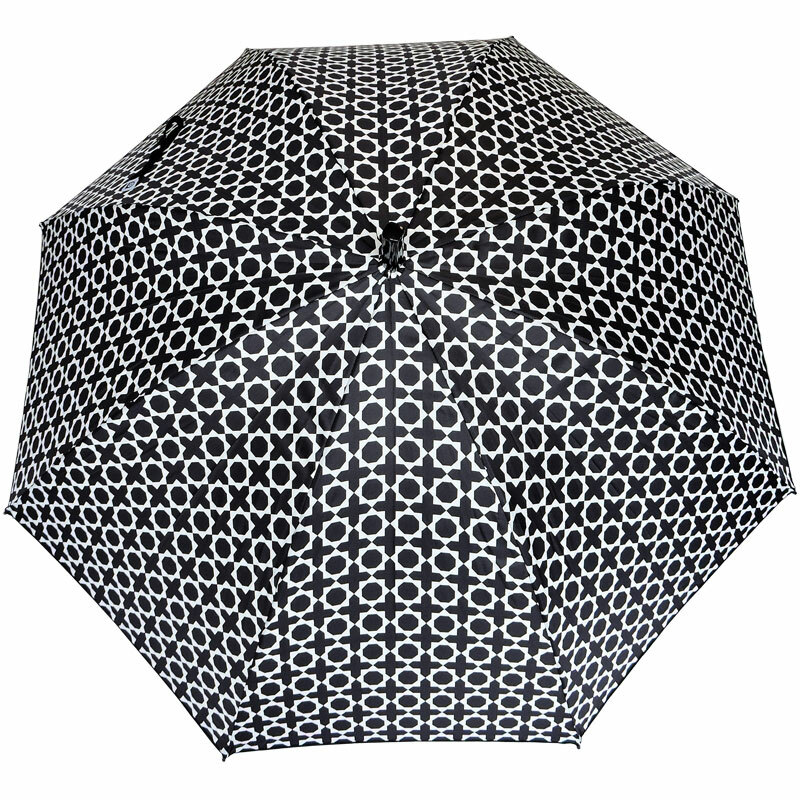 If you like modern style with classic, timeless good looks these umbrellas are for you. If you love this monochrome style but would prefer a folding compact umbrella, then click and take a look at our Ezpeleta Fully Automatic Monochrome Compact Umbrella.